Overnight oats are so easy to prepare the night before, and there are so many different flavour combinations that you can create! This morning's oatmeal was cinnamon blueberry, and it was delicious! As soon as the weather starts to dip down I instantly start to crave soup. My latest obsession has been this incredible Turmeric and Sweet Potato Soup from Thug Kitchen 101. I bought this cookbook on sale this Black Friday, and this was the first recipe that I tried. Well, this soup is delicious, and I have super high hopes for the rest of the recipes! Throughout the afternoon I snacked on an orange and an Asian pear. 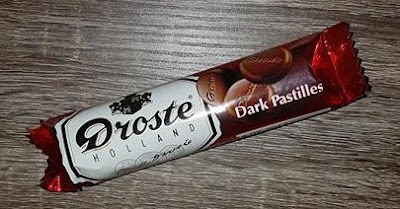 I found this dark chocolate at a Dutch store here in Ottawa and had to try them out. OMG - so good! I'm not a fan of bitter dark chocolate, so I was really pleasantly surprised since this dark chocolate was really smooth and creamy, without any dairy.